Over the past few weeks we have explored the wonderful world of nature. 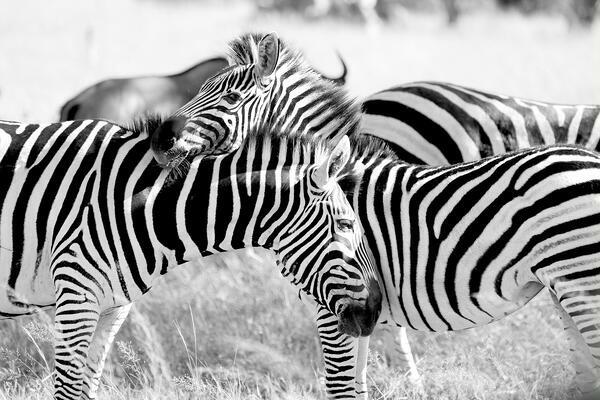 The 'African Bush Camps Awards' gave us the opportunity to dive into different aspects of the natural world from its comical scenes to finding out why a Zebra has stripes. This blog will give you an insight into why we chose the winners as well as a bit more information on the nominees. There is nowhere else in the world where you can experience first hand the ruthless behaviour that occurs in Africa. Our exceptional guides will take your breath away whether exploring lake Kariba at Bumi Hills or tracking Rhino in Thorntree. 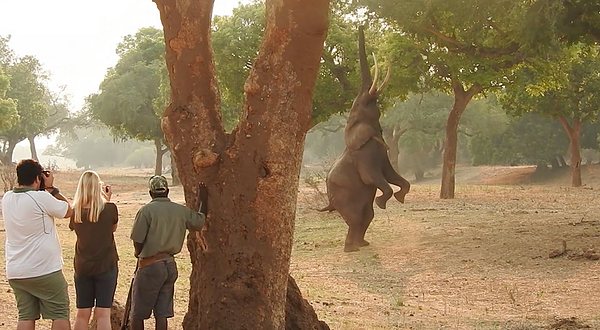 One of the most heart stopping things to see on safari is an animal on a hunt which is why we chose this lion's attempt to take down an elephant as the winner. It's not always a dramatic scene that we look for on safari. Some times we're more than happy to sit back with a gin and tonic and be entertained. 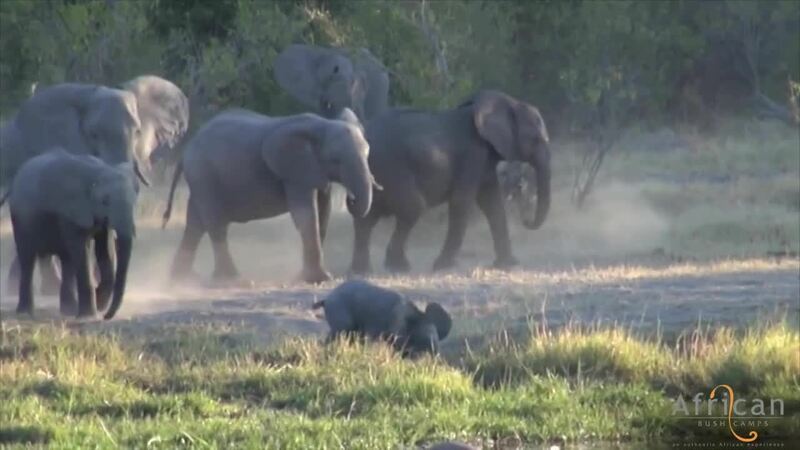 An overly excitable baby elephant has got to be one of the cutest things you can see. 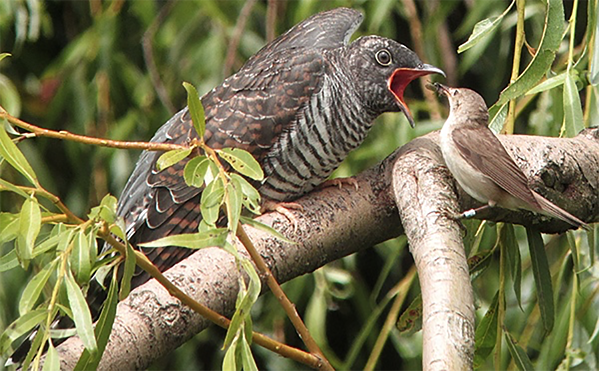 The winner for this award had to be the Cuckoo and its parasitic behaviour. To avoid the huge cost of rearing their own offspring, the cuckoo simply lays its egg inside the nest of an unfortunate host. It is then up to the chick to trick its foster parents into believing they are rearing their own. The deceit is so good that the poor host parent exhausts itself by feeding this rather over grown chick. Here we got to appreciate how good our guides are by comparing their best sightings caught on camera. 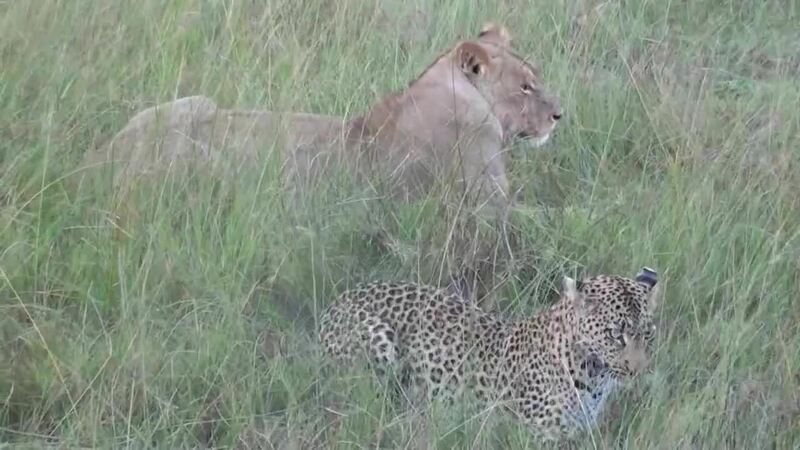 We had some fantastic nominees but the winner had to be Dutch from Linyanti Bush Camp and his encounter of a leopard that found itself in the middle of a lion pride. Taking a closer look, not all animals are 'at each others throats' so to speak. In fact if you walk with us on on an expedition of a lifetime, you might be lucky to observe some of these intricate relationships. Through the nominees in this award, we learnt how ants help birds and how giraffes help knob thorn trees but it was the oxpecker with its acclaimed symbiotic relationships that took the win. 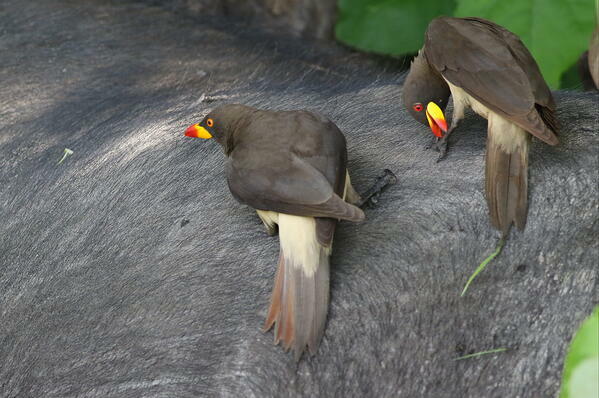 Oxpeckers help out plains game by removing ticks, cleaning wounds and looking out for predators. This award gave us the chance to tap into natures thought process behind the huge variation in colours and patterns. We learnt that harmless butterflies copy the colour patterns of an unpalatable species in order to avoid being eaten by birds. We also looked at a variety of unbelievable camouflage in birds and insects. But why does a Zebra have stripes. We chose this as the winner because actually no one really knows. Scientific studies have hypothesised and tested reasons such as predator avoidance, thermoregulation or even to attract less tsetse fly's. The nominees for this award helps us give appreciation to our residents animals around camp that have made a name for themselves. We had a look at Warthog the elephant and Mitch the hippo but the winner had to be Boswell the famous elephant based in Mana Pools. This titanic beast made its name not just for his tremendous size but actually for his amazing trick of standing on his hind legs to reach the top branches. Well, there you have it. What a great competition highlighting some of Africa's most interesting animals. There is so much more to discover on this beautiful continent and our exceptional guides provide the perfect platform to show you. 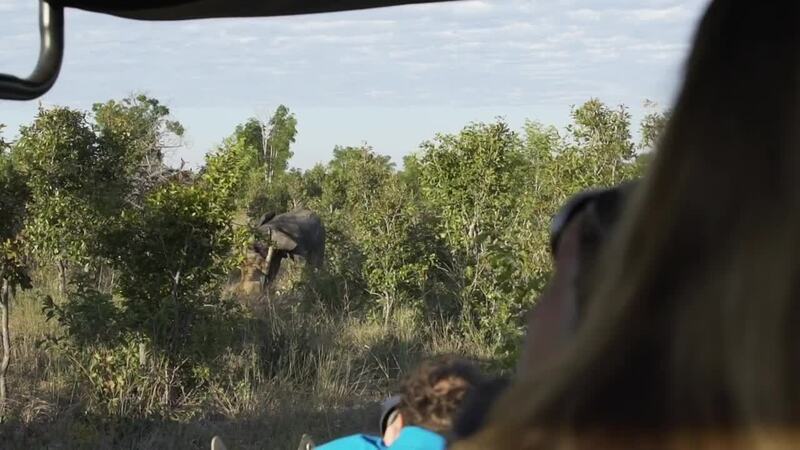 Get in touch and find out why we can give you the best safari experience!